On this page we will document our CFA show experiences. Showing in the US has been exciting and we hope that in the coming years we continue the success we had in the UK. Hugo made two finals as well. We'll continue bringing him to the shows as long as he enjoys it. And boy does he love the attention. This was our first venture into Canada with the cats. We really wanted to support the show of some friends (Rene and Nicole Menweg) so we decided to bring 4 cats. You can call us foolish and you'd be right. We arrived at the border where they found two guys travelling with 4 cats very suspicious. We were told to park our car and go in to talk with an officer. There the border control agent wanted us to prove we weren't going to be selling our cats. How do you prove that? After an hour going back and forth we were finally able to continue on to the show. Next year we will approach this differently. However the show was well worth it. We had a terrific time and the hosts were very gracious. We had a great dinner on Saturday evening with many of the other exhibiters. 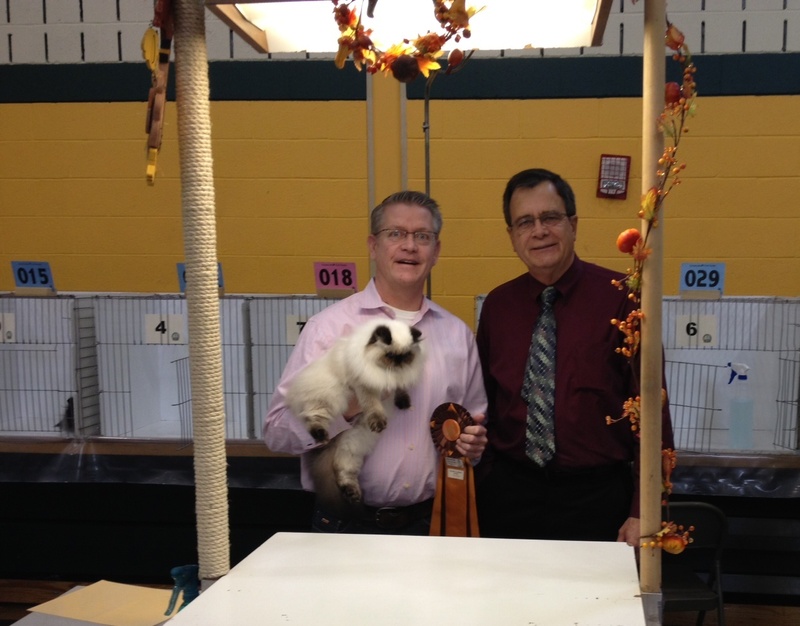 This was Hazel's first kitten show and she actually placed 2nd in an Allbreed ring. 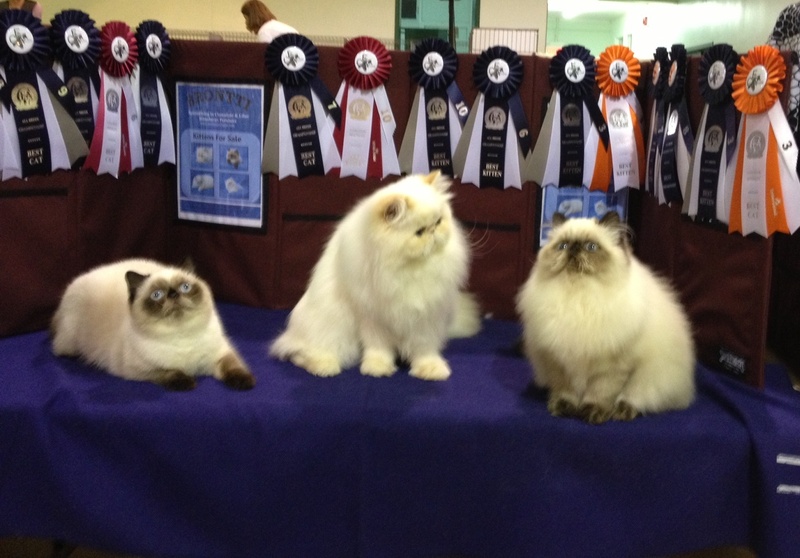 This was Hugo's first show as a new Grand Champion. He also placed as high as 2nd in an Allbreed ring. 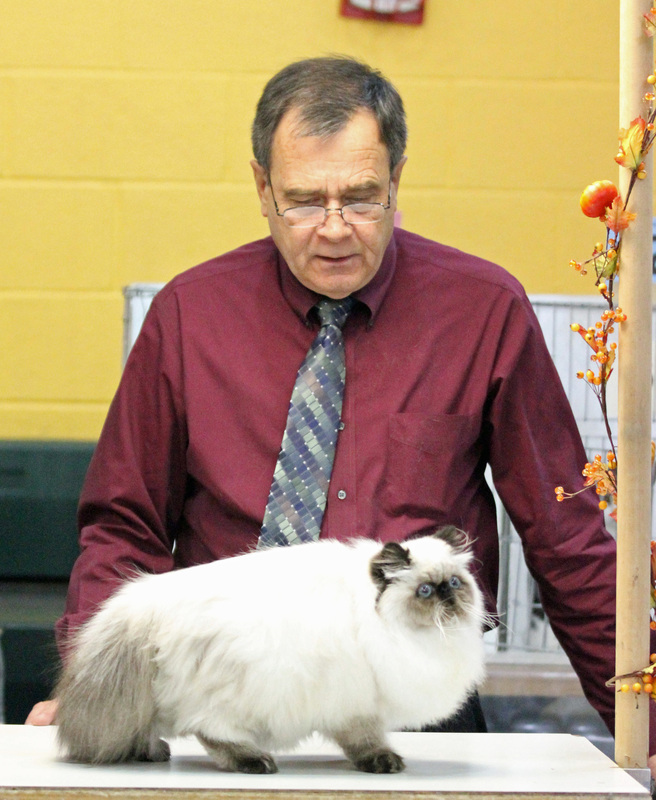 We look forward to next year's show with perhaps a few less cats. All contents including pictures are property of this website.